When it comes to retirement, saving money can be so confusing that even the savviest investors might wonder if they are looking at the right information, doing the right thing or if they’re even on the right track. Should you be using a fancy savings plan? Should you put more in? Less? For anyone confused about retirement, there are plenty of sources that explain who, what, how, when and why, but very few places to turn for one of the most important questions – should. This guide is meant as a quick reference to that really tricky word, with some of the most common “should” questions answered. How Much Money Should I Have When I Retire? This might be the most common “should” question when planning for retirement. The answer you might often get is “as much as you’ll need” and that isn’t particularly helpful. A better, although still incomplete answer involves some simple math you can do on the back of a napkin: Take your annual income the year before you plan to retire and subtract your annual retirement income (Social Security, pension, trust, etc.) from it. Whatever that difference is, multiply it by the number of years you expect to live after retirement, probably 15-20. That’s how much you need, give or take a bit. For example, if your Social Security and pension pays you around $50,000 per year, and you’re making around $150,000 before you retire. Multiply $100,000 (the difference) by 20, and you’ll probably need around $2 million. Another question that all-too-often results in a frustrating answer. You should save as much as you can, but not more than you can afford. 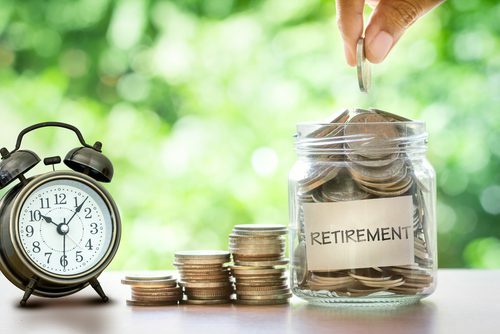 Retirement should be your savings priority, ahead of college funds or other long-term savings, because you can’t get a loan to retire, but you can for virtually everything else. If you feel like your monthly contributions are drops in the bucket, stop focusing on the bucket and take a look at your monthly picture. Make a pie chart with five big slices: Bills, debt, spending, short-term savings and long-term savings. This isn’t about how to trim your bills, just look at those five figures. How much of your long-term savings is used for retirement? Could it be more? If so, put more into retirement. 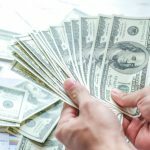 If you want to find ways to reduce your costs so you save more money for retirement, look at those categories again and start making cuts from right to left. First, cut some spending from other long-term savings. Then short-term savings, spending, debt and finally bills. You might expect a frustrating answer right now, but this one is easy. Now, or better yet, yesterday. What Kind of Retirement Account Should I Get? There are three major considerations when selecting a retirement account. First, how many years until you retire? The answer to that question helps determine your risk. The second question is how much money do you make? The answer to that question determines whether you’d like to be taxed on the income now or in retirement. Finally, have you maximized the benefits of another account? If you’re past the point of your employer matching your 401(k), look at all of your options. If not, put in as much as your employer will match. You’re not going to find a lot of retirement plans paying more than the 100% rate of return an employer is offering by matching funds. Once you have the answers to those questions, speak with your partners at FSU Credit Union. We offer three types of retirement plans: A Traditional IRA, a Roth IRA and a Coverdell. Call us or stop by and ask which is the right account for you and how you can make contributions directly into your account with payroll deductions or automatic payments. You can also consider other investments with FSU Credit Union. For short term investments consider a share certificate (CD). You have even more options with FSUCU Partner Private Wealth Management and Consulting, LLC. If you have more questions, get in touch with your partners at FSU Credit Union by visiting any FSU Credit Union branch or call (850) 224-4960 (Tallahassee) or 877-GO-FSUCU (Toll Free).